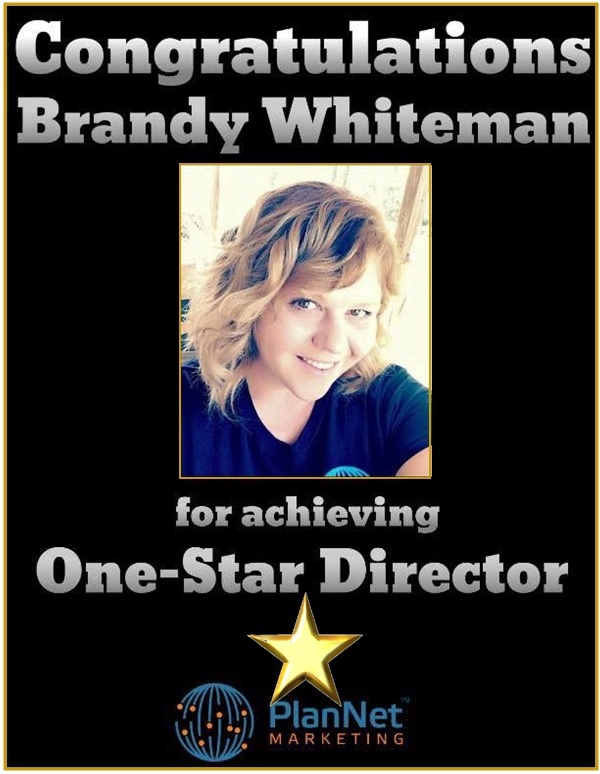 MEET NEW ONE-STAR DIRECTOR BRANDY WHITEMAN! PlanNet Marketing is proud to announce Brandy Whiteman as one of our newest One-Star Directors. 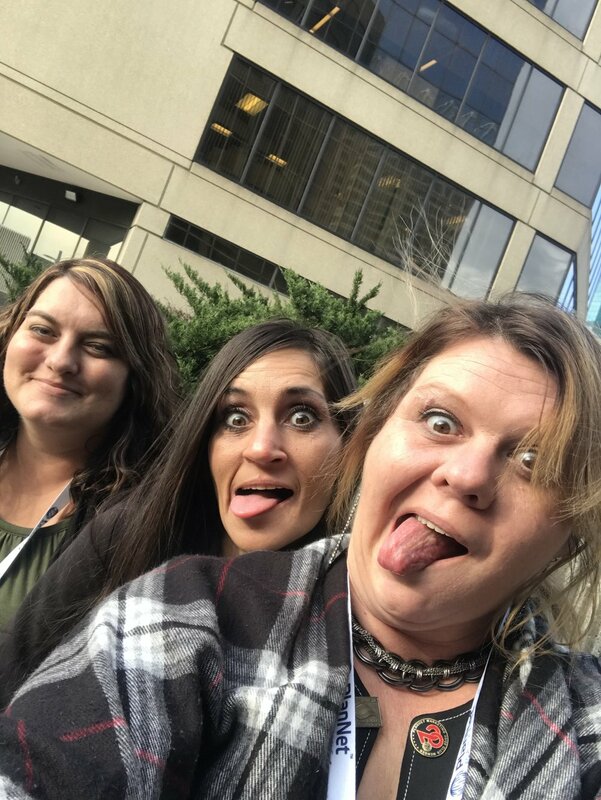 Originally from Oklahoma, since joining PlanNet Marketing, Brandy says she has lived in Houston, TX; Macon, GA; and currently resides in Ardmore, Oklahoma…and hitting directorship in her home state is truly a dream come true. Her interests include art, history, architecture, and food, all of which she loves experiencing while traveling. She adds, “The world is so full of amazing sights, sounds, and tastes. I want to experience them all! “Since starting this business, I have had so many amazing trips. I’ve added 10 new states and so many new cities to my ever growing map. 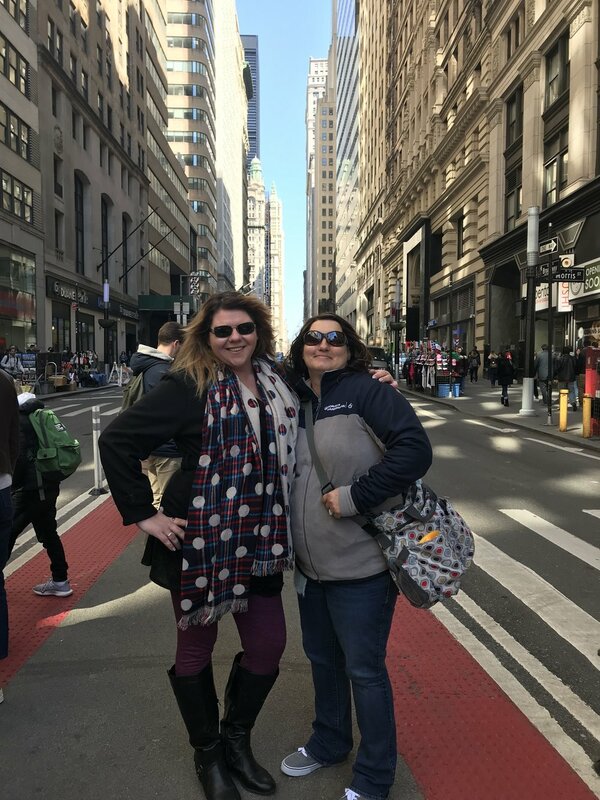 I’ve enjoyed time with my family on Hilton Head, SC; Times Square and Central Park in NYC; Baltimore, MD; Atlanta, GA; Daytona Beach, FL; and Atlanta City, NJ - just to name a few. The rest of the year we have plans for the Florida Keys and Mexico. I love the infinite possibilities we have to experience the world. “The key to success for me has been a process. First - it had to start with investment of my time. Explaining to my husband, five children and three grandchildren that I wasn’t going to be balanced all the time. That there were going to be times that I would have to miss out on some things and sacrifice. Second - I had to start believing in myself. I had to believe that I could do this; I could achieve my goals. Third - I had to be coachable. Sometimes I didn’t like the things my coaches were telling me I needed to do, but I learned to listen. I wanted to be where they were so I had to do what they did to get there. Fourth - I had to personally develop to become a leader! That meant learning to serve others before myself. When you help others reach their goals, it is inevitable that your goals will be achieved as well. When you serve others you are leading by example. Fifth - I have held on to the vision. I truly believe we are a legacy company. My why is tied to that PlanNet Pledge. I want to leave a legacy for my family that will last for generations. And I know that this is the right place and the right time to get it done. Sixth - I locked arms with some amazing individuals. Our team is not just a team - we are a family. We grind together, we struggle together, we pick each other up, and we lift each other up. Without them none of this would have been possible.